The Lion of Bavaria: An exceptional sculptured monument found in Pronia Square, where the National Assembly met in 1832 to ratify the election of Otto as king of the Greeks. According to history, following the orders of Otto’s father, the sculpture was carved on the rock by Siegel in 1840-41 to honor the soldiers of the king’s court who had died in Nafplio. The gate of the Land: Built in 1708, it is located on the road to Akronafplia and at the foot of the stone stairs of Palamidi. Long ago, it was the only entrance to the city by land as there was a moat filled with sea water in front of the gate and a wooden drawbridge, which was closed every night. There you will see the marble statue of the revolutionary hero Staikos Staikopoulos. The Railway Station: Simply known as "Stathmos"-“Station” by the locals. It is one of the many beautiful sites which marks the end or the beginning of the old city of Nafplio. The Peloponnesian Folk Art Foundation has created a museum space dedicated to children in the old station warehouse. The items exhibited are a portion of the collections connected to children: the cycle of life, the customary circle, school, puppet figures, such as Karagiozi, and traditional games. The Archaeological Museum: The restored museum which dominates the Syntagma Square is one of the most splendid Venetian buildings in the city. In the two-storey building dating from 1713 and which served as a warehouse for the Venetian fleet, are exhibits from excavations around Argolida, dating from the paleolithic age to late antiquity. It hosts Neolithic pottery and frescoes from Mycenae and Tyrins period. Also, there are rare and valuable finds of the Mycenaean period on display: clay masks and shields, a large collection of stone vases, small objects of everyday use, and even objects from the cult worship of the Gods. Among the most significant pieces are an armor made of copper from the 15th Century BC and found in the village of Dendra, a vessel that was used in ancient times for mixing wine and water from the 13th century BC, depicting a chariot with two fighters, and finally, a clay mask from Tyrins (7th century BC) with strong characteristics of the person represented. The War Museum: It is located just before Syndagma Square. It is an imposing stone building that has served as a museum since 1988. It is housed in a two-storey neo-classical building where, in 1828, the first Cadet school and later the first Department of Defense operated. 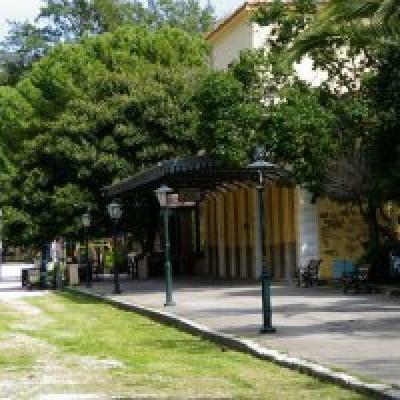 The exhibits of the museum are related to the history of the school and the wars in which Greece had been involved, from the Greek Revolution to the end of the Second World War. Among other things, a bust of Ioannis Kapodistrias and a portrait of Staikos Staikopoulos are on display and worth seeing. Nafplio is famous throughout Greece for its shops, which are steeped in the art of handmade worry beads. Taking a walk in the old city, one can visit one of them. You will be impressed by the aesthetics beads made ​​with natural materials and precious metals, offering positive energy. You can purchase any of the beads, which are made with loving care by using rare materials such as amber, ebony, coral and ivory or even rosaries and impressive prayer-books in intricate designs from around the world. After visiting all the above the visitor will certainly have experienced a complete look of the city. But for those wishing to see more, a visit to the surrounding picturesque villages enjoying the scenery will really be rewarding. Miloi is a village by the sea, just 10 km far from the city of Nafplio, but few know that the mythical lake of Lerny is found at the village, where Hercules killed the Lernea Hydra Monster accomplishing one of his required feats. 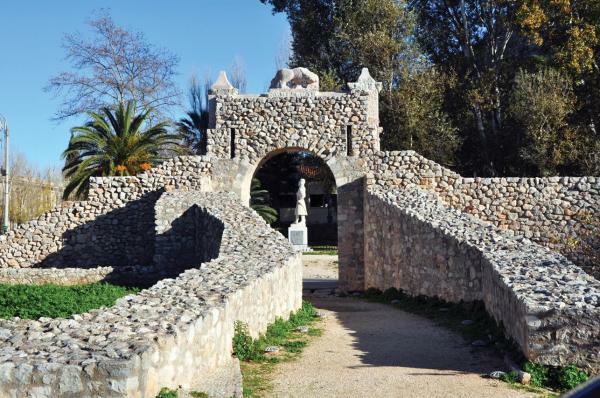 Iria, a place of historical value, is very closely located to the city. The area is famous because of a shipwreck found in 1962, the wreck of a ship used for the supply of all ancient Greek cities with potteries. The valley of Iria is also known for the artichoke cultivation being celebrated every May by the famous “Artichoke Festival”. Touring Kantia, Tirintha, Asini, Midea, Kiveri will satisfy the lovers of the ancient Greek civilization since a variety of monuments and remains of the old cities of the Mycenaean era are found there. Finally a wandering throughout the wonderful creeks of Tolo is strongly suggested to the visitors of Nafplio, having the chance to participate and experience a number of traditional celebrations, such the “trata festival”. Vivari, a beautiful small village by the sea, with a great view of old Venetian ruins is also strongly recommended. Mycenae, Epidavros, Argos, Astros Kynourias are also very closely located to Nafplio. Nafplio, as the Prefecture of Argolida in whole, apart from its amazing landscape and sightseeing is surrounded by a fruitful land with a variety of agricultural productions. A contributing factor not only for the production of high quality agricultural, as well as apiarian products and the production of home-made pasta, traditional sweets, but for the development of the biological cultivations and the evolvement of the alternative tourism, the “agro-tourism” in the area of Nafplio. 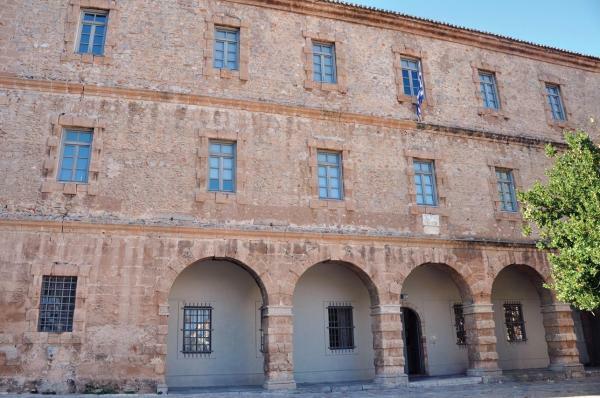 The people of Nafplio and the villagers of the surrounding village are fully aware of the importance of tourism and paying their respect to the environment have recently started the construction of facilities and accommodations within farms wishing to satisfy their guests and visitors. Those who wish to experience everyday farm life can freely participate, learning also about looming or how to cook traditional dishes. Reading all the previously mentioned remarks we can easily figured out that Nafplio is a city offering a variety of experiences and things to discover. Another significant fact that has to be mentioned, which is not widely known, is that the only branch of the well-known U.S. University of Harvard in Europe has been in service since 2008 in the city of Nafplio! The city was selected by the University officials for the institution of a Centre of Greek Studies because of its historical significance. Long-distance courses are offered by the institution, a number of various educational events and seminars about Greek philosophy and humanitarian studies are frequently organized, whereas free internet access is provided to the library of the institution.